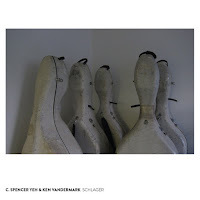 It should come as no surprise that, despite its title, there’s nothing easy, catchy, or sentimental about Schlager, Ken Vandermark’s recent duo album with C. Spencer Yeh. Recorded a year ago at The Sugar Maple in Milwaukee with Vandermark on reeds and Yeh on voice, violin, and electronics, this is, rather, music that makes you sit up, lean in, and—maybe puzzled, maybe disconcerted—listen more closely. It’s also music of enormous variety, thanks as much to the range of instruments on the stage as to versatility and inventiveness of the two musicians playing them. But at the same time it’s not music that’s wry for wryness’s sake or diverse for diversity’s. Instead what Vandermark and Yeh manage to do in just under forty-five minutes is develop their own musical lexicon—challenging, harsh, playful, and emotional all at once—and with it shape a novel listening experience that asks no less than it gives. They start from the ground up. Schlager opens with a pair of tracks called “Song for Milwaukee,” one for voice and one for clarinet. The first offers ten minutes of percussive pops, crackles, and swishing sounds (generated, presumably, by Yeh alone) that first defy expectations (“song”? “voice”?) but then organize themselves into a kind of coherence, whether we’re tracking pitches (bass thumps vs. sharper slaps) or comparing what we’re hearing to known, everyday sounds (popcorn popping, sure, or stormy weather). Without completely abandoning the percussive spirit of the opener, Vandermark’s companion contribution adds color, cycling through all manner of clarinet sounds from low drones to breathless runs. Centerpiece “Occidental Geography,” builds again, with Yeh scribbling out upper-atmosphere wisps on the violin while Vandermark blows gales on tenor sax; finally together, the improvisers prove perfectly paired, knowing, with the naturalness of breathing, just when to come together and when to drift apart. The track’s climactic sparring session is so good that they had to leave in the audience’s applause (complete with awed laughter). But Schlager’s final two tracks are worth hanging around for, especially “Unbearable Distances,” where we’re treated not only to some judicious looping of Vandermark’s clarinet but also to Yeh’s extraordinary vocal technique, here extremely physical, from blubbering lips to gagging sounds—noises that, if not for the performer’s sheer virtuosity and intentionality, would run a serious risk of becoming silly. Re-contextualized, in other words, they work in new ways. And that’s what this music is all about—making noise and taking risks for open ears. 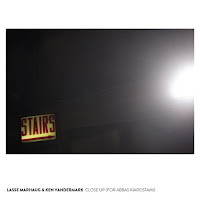 As the first duo encounter of long-time collaborators Ken Vandermark and Lasse Marhaug, Close Up seems appropriately titled. Indeed, immediacy and intimacy are some of the characteristics that help bring coherence to this wide-ranging 40-minute improvisation, recorded live in Oslo and mastered by Marhaug himself. At the same time, the title is also a reference to Iranian director Abbas Kiarostami’s 1990 film of the same name. Troubling the line between fiction and reality, the eponymous film tells the true story of a man whose attempt to impersonate the filmmaker Mohsen Makhmalbaf lands him in prison. How exactly the music works as homage to Kiarostami’s film is anyone’s guess—perhaps a futile endeavor, anyway, in light of our comments-section discussion of What Thomas Bernhard Saw last year. (I’ve just deleted my own pretentious and longwinded attempt at speculation.) 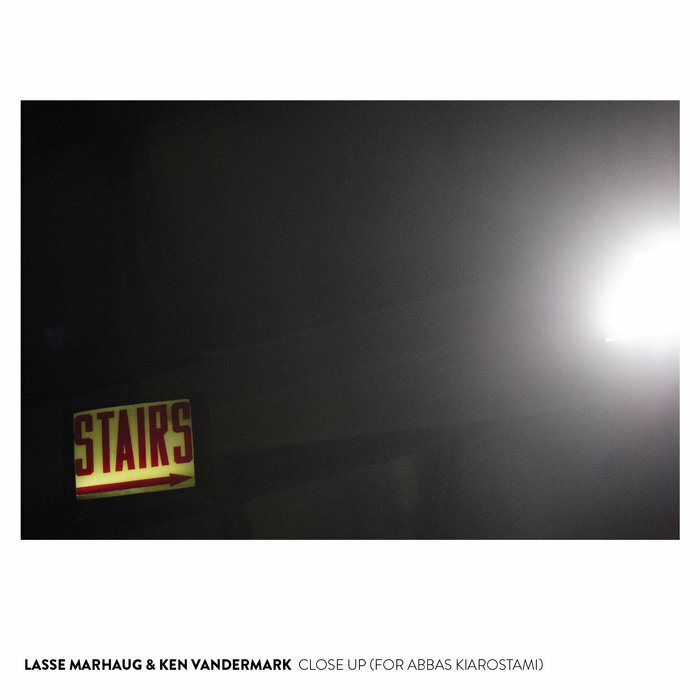 Bottom line: set aside some time to check out the film, which is by all accounts a masterpiece, and in the meantime check out the album, which is at the least a worthwhile installment in Vandermark’s latest trio of duo releases. Fans of Marhaug’s 2014 meet-up with Dave Rempis, Naancore, might find Close Up a little too gentle, not quite blistering enough. But don’t take that to mean this is an easy listen, or even a painless one. There’s plenty here to clear a room, starting with the twittering whine and jackhammer sounds that open the set, or the blasts of static that come a few moments later. In the video footage of the concert it’s unsettling to watch Marhaug’s expressionless face, fixed under his uncompromising dome, as he shreds digital fabric with the twist of a few knobs. (NB: Although the video is of interest, for the audio quality, Marhaug’s mastering makes a world of difference.) Vandermark is no slouch himself, showing off his ability throughout—whether he’s on tenor, bari, or clarinet—to call or even raise whatever high wire bet Marhaug throws down. While much of Close Up resides in tense spaces of extremity and contrast, there are moments of sudden unity—Vandermark and Marhaug falling into a pulse, nurturing each other’s half-hatched ideas, or stopping short together—that remind us that not just anyone (indeed, almost no one) can do this stuff. They’re moments that remind us to salute the masters, no matter the occasion. 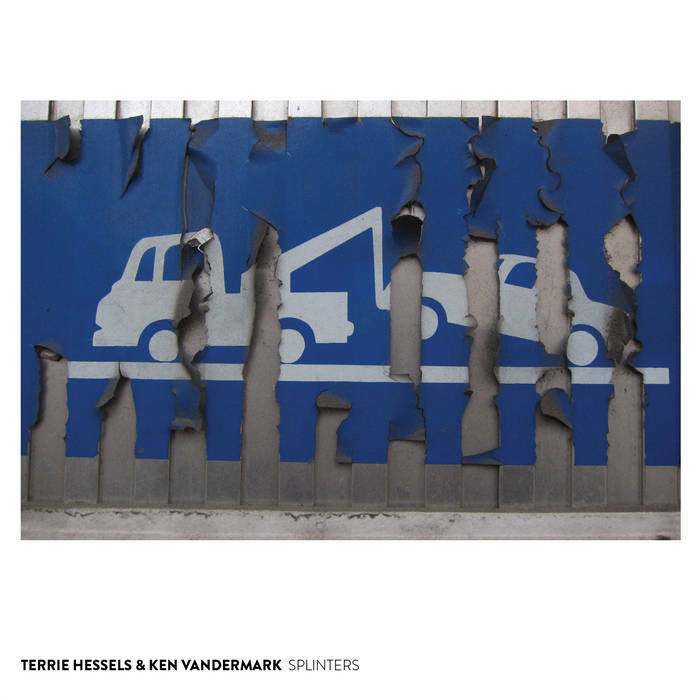 Rounding out Ken Vandermark’s recent triple release of live duo albums on his Systems vs. Artifacts imprint is Splinters, with guitarist Terrie Hessels. Like Lasse Marhaug, Hessels is a familiar stage-mate for Vandermark in larger settings, as with The Ex or the Lean Left quartet with Andy Moor and Paal Nilssen-Love. With Splinters, we finally get a title that—without irony or layered allusion—simply seems to describe the music at hand. In fact, each of the four tracks reiterates this sonic metaphor in a different language: “Eclats” (French), “Astillas” (Spanish), “Hahen” (Japanese), and “Splitter” (German). And for good reason: the only thing continuous about these improvisations is their duration over time, or else their endless restlessness. Listening closely to Schlager, Close Up, and Splinters all in a row, it’s possible to catch on to some of Vandermark’s favorite moves and allow them to build a kind of structure, through repetition, across the three albums—from slap tongue ostinati and churning pulses to silky clarinet runs and airy tenor drones, to say nothing of the unrestrained blowing. 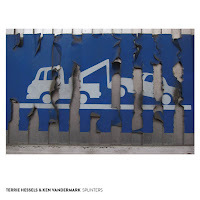 But like Vandermark’s other duo collaborators, Hessels keeps things unpredictable. Often in these improvisations he favors claustrophobic textures, dense clanging, sudden stabbing notes, and the friction of the pick against the string. (It can be hard to know quite what he’s doing; one video of the guitarist with Han Bennink shows Hessels dragging his headstock across the stage.) This way, he makes moments of calm truly count, as on “Splitter” when his guitar resonates like the tolling of distant bells, or groans like the sound of ice under stress. Of course even then, we get the sense everything’s about to shatter back into fragments.